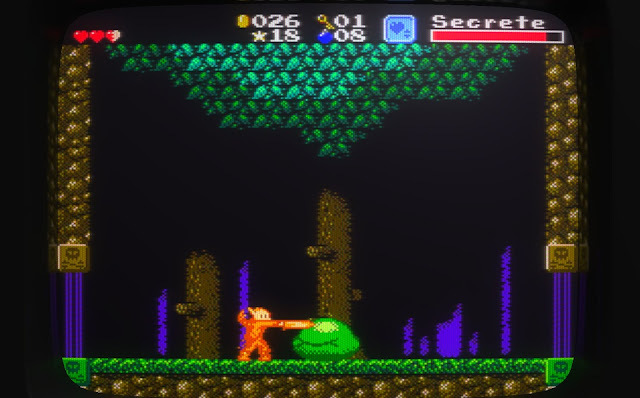 It has just gone past midnight but we are staying up late for this one as we've just received some great news via our Facebook page as the developer's Minor Key Games have this week released 'Gunmetal Arcadia' ; a wicked looking action platformer with retro-aesthetics which is available to buy on Steam, Itch.io and on Humble for PC, MAC, Linux and SteamOS . Featuring cool retro styled graphics, world-class CRT simulations, an authentic 8-bit soundtrack with an hour's worth of music, five playable characters, over 75 items, 40 legacy events and rewards, you play as the Gunmetal Arcadia Zero on a battle against the hordes of the Unmade Empire. But be warned it wont be easy, as this game will put your skills to the test!